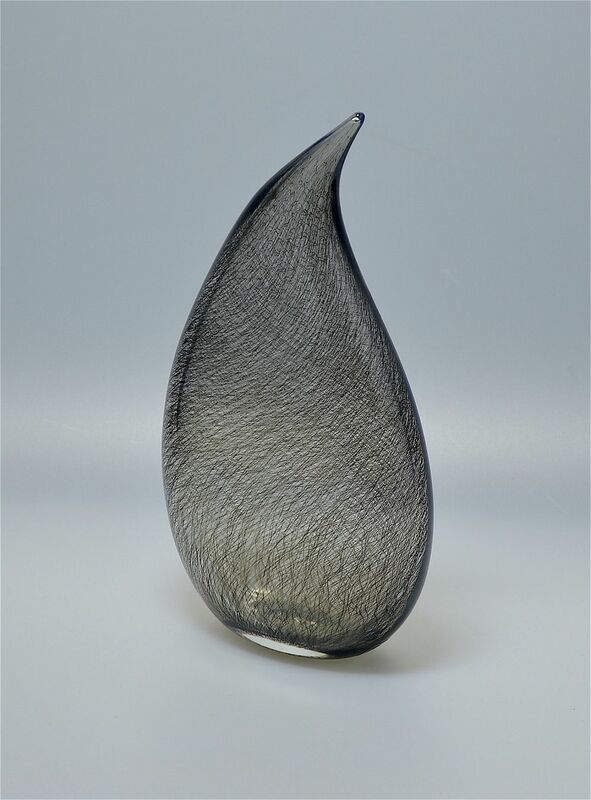 This fabulous vase was made by Michael Hunter for Twists Glass in 2016. Shaped like a teardrop the black merletto cane resembles a spider's web and is encased in clear glass. There is a very narrow opening in the top. The base is scratch signed "M Hunter Twists 16 Tear Drop" and has the Twists Glass studio label. This is one of my favourite shapes and casework.